Sabriel by Garth Nix – this is the first in a series about a necromancer and I’m hooked! I can’t wait to read Lirael, Abhorsen, and Clariel. If you liked Harry Potter, you’d really dig this series. 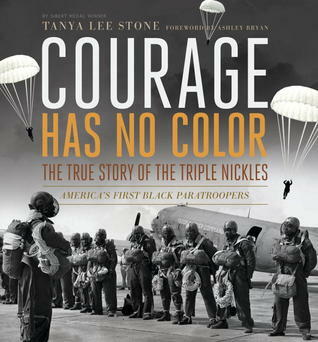 This is a great nonfiction book about the first regiment of black paratroopers in the United States. Those guys went through all the grueling training that paratroopers normally have to do, and then they had to deal with racism on top of it all. This is a great book about a little-known group of game-changers during WWII. Two books in one! This is the story of Darcy, a teenager who managed to get her NaNoWriMo novel picked up by a big publisher, and her story about a girl, Lizzie, who can visit the afterlife at will. 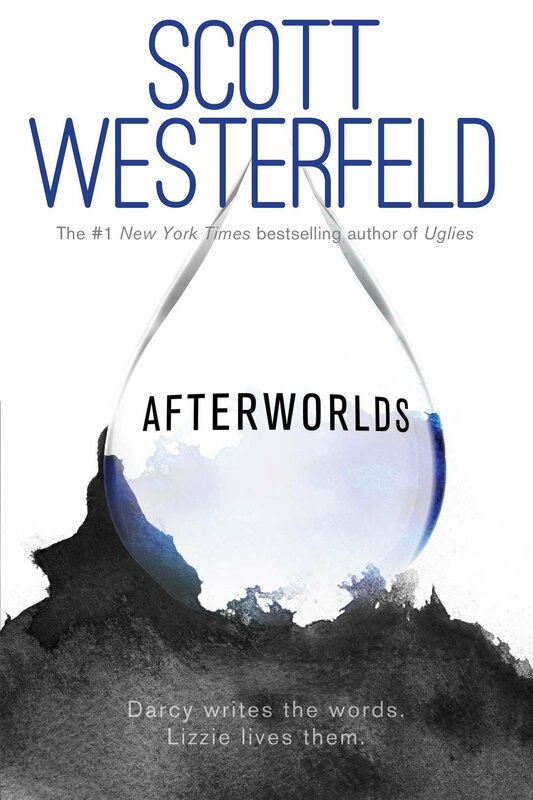 I loved the alternating chapters and Darcy’s story of self-discovery and growing up the city was just as exciting as Lizzie’s adventures in the Afterworld. 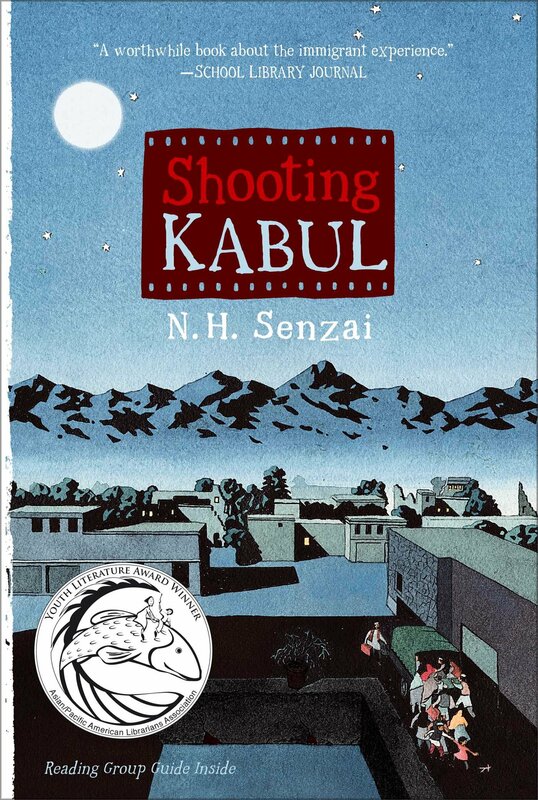 This is a great middle-grade book about a young boy, Fadi, and his family as they flee from Afghanistan right before the September 11th attacks. Fadi has to get used to living in California while he deals with the guilt of letting go of his little sister’s hand during their harrowing, late-night escape from Jalalabad. 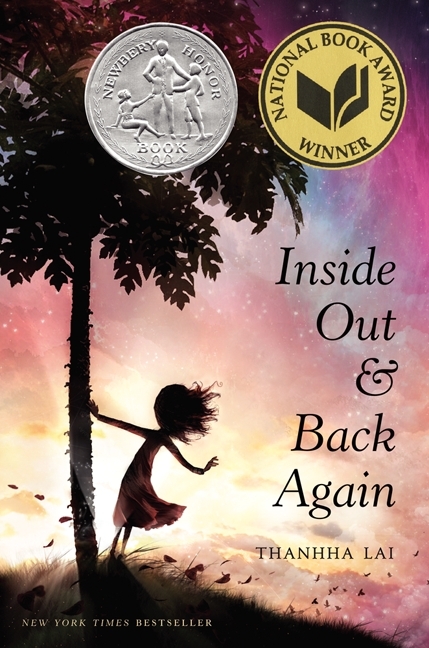 This is another middle-grade novel (in verse) about a girl who immigrates from war-torn Vietnam to the United States in the 70s. The poetry is stark and emotional, and the main character, Hà is clever and caring. I also listened to the audiobook version of this novel and it was wonderful. One more middle-grade book about immigration. 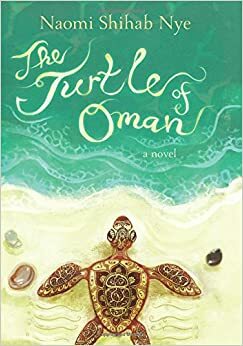 This book is about Aref, who is about to move from Oman to the United States with his parents. He doesn’t want to leave his beautiful country and his beloved grandfather, and he’s not shy about letting his mother know. Aref and his grandfather go on adventures, getting ready for Aref’s inevitable departure. I read this great book as an ARC (advanced reader copy) at the Young Reader’s Center at the Library of Congress. It’s about a girl who can’t leave her house because of a very rare disease. Bubble girl! This was another ARC that I read and loved. It’s a really interesting fantasy spin on the classic One Thousand and One Nights tale of Sheherazade. I loved the unique way that the author incorporated magic into this story. Did you read anything that you loved this summer? Leave a recommendation in the comments section! See you in a week! If you’re like me, you’re constantly looking for the next great book to check out. When I get burned out on fiction novels, I turn to my favorite nonfiction authors to shake things up a little! Here are just a few suggestions for all you fiction lovers out there. Try something new today! 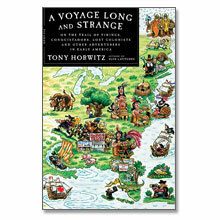 I love Tony Horwitz’s hilarious books about his travels through time. 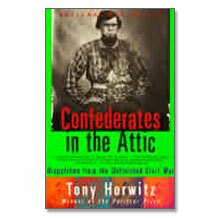 In Confederates in the Attic, he takes his reader on a funny, touching, and maddening journey through the South, where the land and the people are still effected by the battles and outcome of the Civil War. Tony takes part in a reenactment, talks to Klan members, and journeys from battle site to battle site, learning about the Civil War from the people who live with the War, even in the present-day. In A Voyage Long and Strange, Tony delves into the little-known history of America’s life before the Pilgrims landed at Plymouth Rock. He unravels the myth of Christopher Columbus (who was a terrible guy, by the way), tries on a suit of armor, and uncovers new information about the myriad of explorers who traveled across the United States before there were ever states to unite. Tony’s particular style of narrative nonfiction is charming, hilarious, fun, and informative all at the same time. I would have never learned as much about the American Civil War or the history of America before the Pilgrims if I hadn’t stumbled upon his books. If you love historical fiction, try some REAL history with Tony’s books. Mary Roach is a fantastic nonfiction writer who explores weird, fascinating, and sometimes icky topics in her fantastic books. 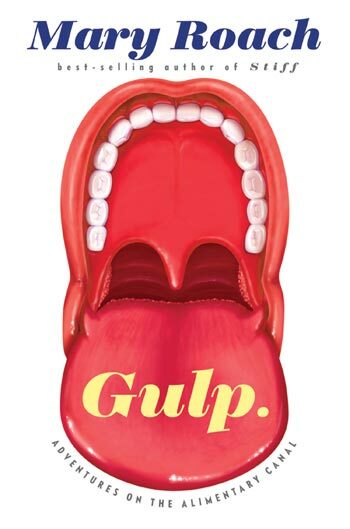 Gulp, for example, explores the twisty-turny path taken by our food as it travels through our bodies. Mary asks and answers all sorts of questions you’d never think to ask out loud about the human digestive process. Stiff follows the lives of human cadavers as they aid doctors and scientists in learning about health, medicine, and safety, even if the topic is a little weird for some. In Packing for Mars, Mary interviews astronauts, NASA engineers, and other interesting folks to learn what it takes to make it in space. This book was especially fun to read when I was learning about space exploration and the possibilities of creating permanent settlements on extra-terrestrial planets! Mary’s writing is easy and fun to read, and the topics that she covers are as interesting as they are uncomfortable, even taboo! 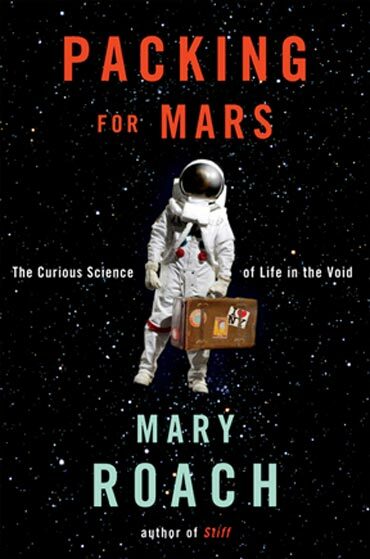 Sci-fi lovers will get a kick out of any of her books, but I’d recommend starting with Packing for Mars for some hilarious using-the-bathroom-in-space science. 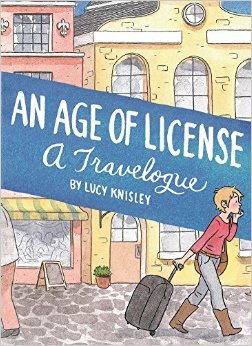 If you’re into food or travel, you’ll love Lucy Knisley’s beautiful graphic travelogues and memoirs. In An Age of License, Lucy paints and sketches her way across Europe in her very first solo travel expedition. She explores new cities, falls in love, misses her friends and family, and eats delicious new foods, all while capturing her trip in lovely sketches and watercolors. Lucy’s first travelogue, French Milk, is a similarly touching graphic diary of her month-long stay in Paris with her mother, while Relish focuses on Lucy’s life in food, with drawings of her favorite dishes and some really great recipes thrown in. If you’d like to check out Lucy’s comics, visit her website. Lucy’s focus is autobiographical and most of her comics and books center around a theme of youth and the journey from childhood into adulthood. Her illustrations are playful, colorful, and perfectly suit her stories. If you like fiction novels that feature love stories or coming-of-age tales, you’ll love Lucy Knisley’s books and comics. If you’d like more suggestions for great nonfiction reads, check out my favorite YA book review blog, Reading Rants! Their nonfiction section is full of great reviews of interesting, fun-to-read works. If you see something you might like but we don’t have it in the library, just request it! 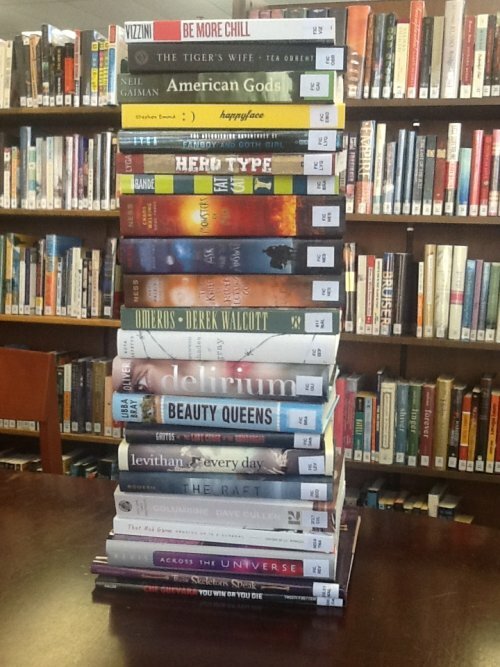 Come to the library to check out some new books! 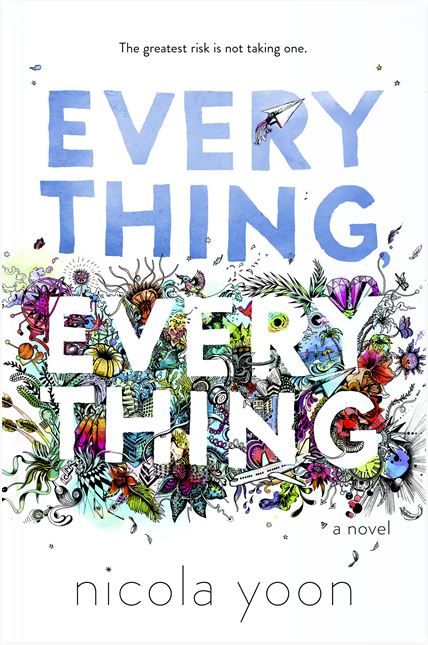 With titles by popular authors like Neil Gaiman, Ned Vizzini, Tea Obrecht, Barry Lyga, Lauren Oliver, David Levithan, and Patrick Ness, you’re sure to find something you like! Originally posted Oct. 25, 2012 on http://www.indiancreekschool.org.